“The one who yawns” was a prominent leader and medicine man from the Bedonkohe band of the Chiricahua Apache tribe. 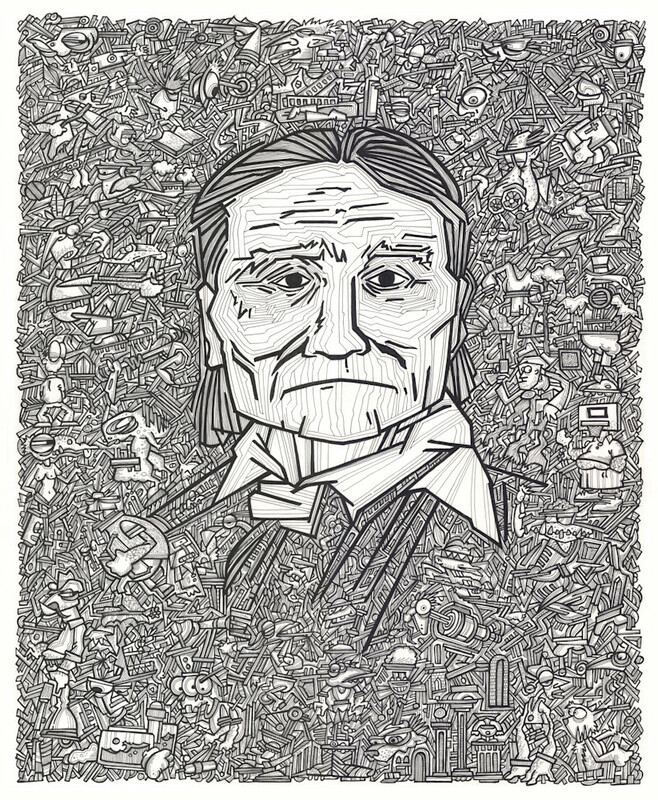 This portrait was inspired by Geronimo’s final period of conflict when he “surrendered” three times and accepted life on the Apache reservations in Arizona. This was confining to the free-moving Apache, and they resented the restrictions and encroachment on their customary way of life.